Andres Iniesta has announced his retirement from international football. 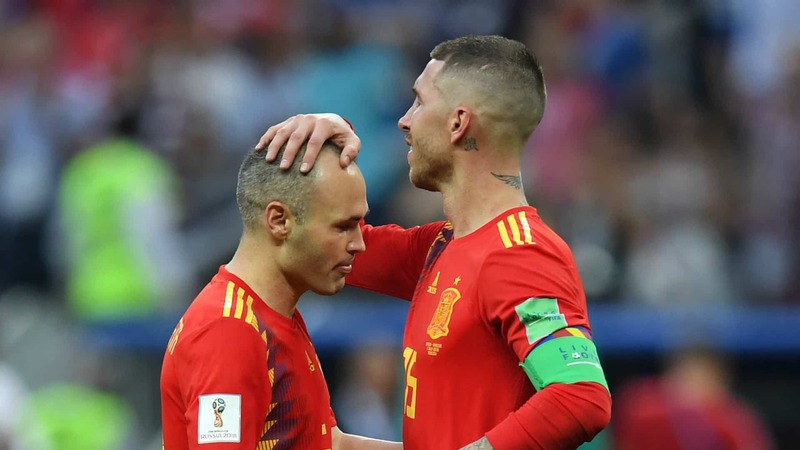 Shortly after Spain got knocked out of the world cup following a dramatic penalty shoot-out which they lost against the hosts Russia, the midfield maestro announced that he would be retiring from international football and that would be last time we would see Iniesta in a Spanish shirt. After starting all three of the group games, the 34-year-old found himself left out of the starting eleven for tonight’s game against Russia. The Spaniard entered the game at 67 minutes for his final and 131st international cap and was unable to inspire his team to victory. “Sometimes the endings are not as one dreams,” said Iniesta. “It is a reality that is my last match with the national team – at an individual level a wonderful stage is over. Overall, it is surely the saddest day of my career. Before the World Cup Andres Iniesta announced that he would be leaving Barcelona where he won nine league titles and four Champions League title, Iniesta was leaving the Catalan giants to sign for Japanese club Vissel Kobe.